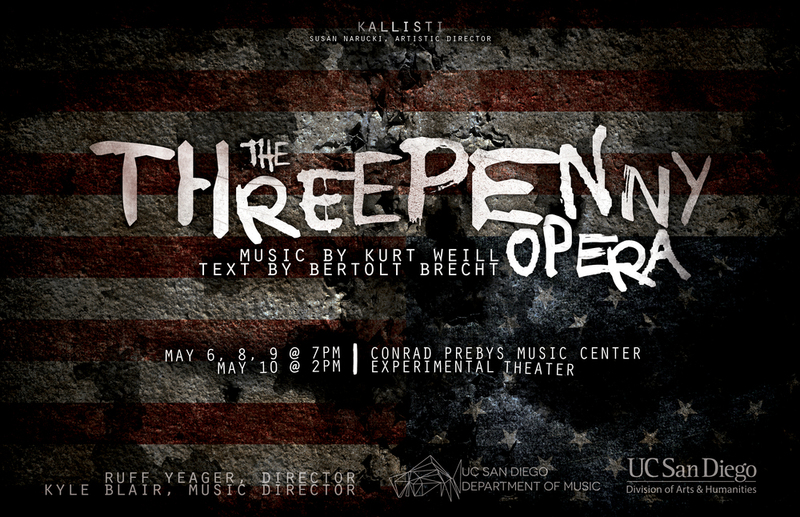 Wednesday, May 6 Friday May 8 and Saturday May 9, 2015 at 7:00 p.m.
Sunday May 10, 2015 at 2 p.m.
We have chosen The Threepenny Opera, an iconic work of Kurt Weill and Bertolt Brecht as our sixth kallisti opera production. 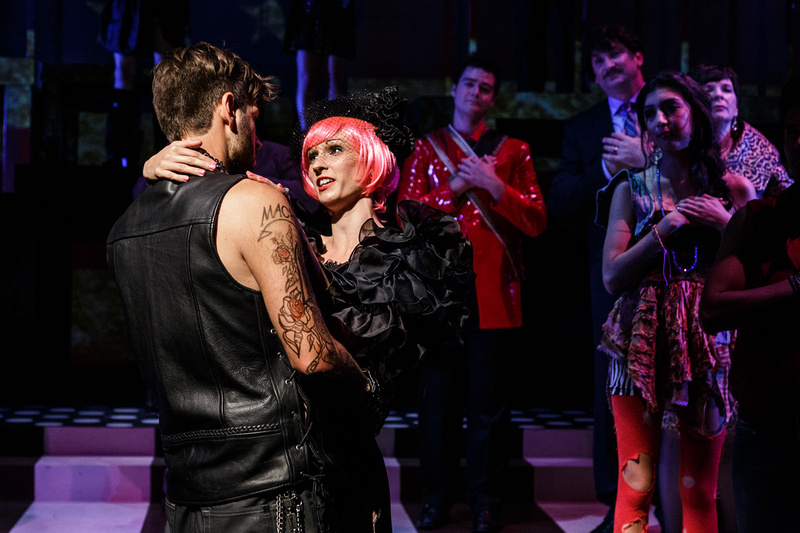 Although The Threepenny Opera had its premiere in Berlin, Germany in 1928, its source material is drawn from John Gay's The Beggar's Opera, an English ballad opera written two centuries early. We have chosen to perform the work in the English adaptation by Marc Blitzstein, (himself a distinguished composer of works of music theater) first performed at Brandeis University in 1952, led by American conductor Leonard Bernstein. 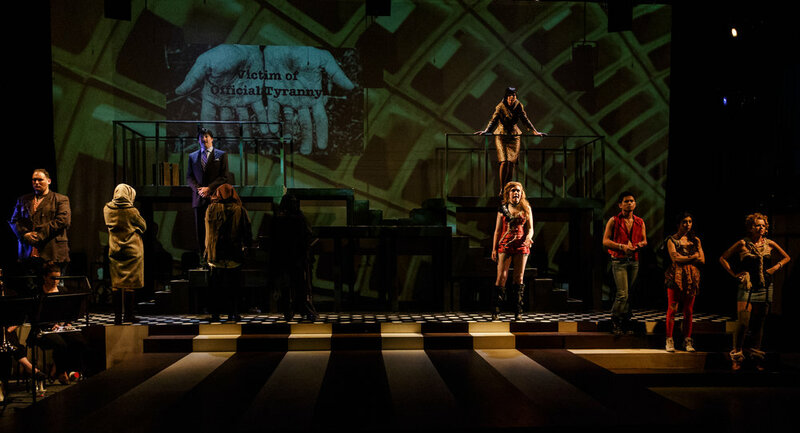 Why does The Threepenny Opera continue to capture our imagination? The assembled characters seem to be, by and large, corrupt and without redeeming qualities. Mack the Knife is a superstar - a ruthless criminal and lady-killer (no pun intended) who nevertheless elicits our sympathy when he is about to be hanged. The story also revolves around Macheath's struggle to escape the wrath of the cynical Mr. Peachum, whose daughter Polly Macheath has married, and his relationship with the corrupt police commissioner Tiger Brown. We complete the picture with gang members, whores, and beggars - each contributing to a web of complicated (and compromised) relationships. Even the women in the piece are conflicted - Jenny, Mack's longtime lover, betrays him, bribed by Mrs. Peachum. Only Polly Peachum and Lucy Brown seem to remain true believers in Mack, despite the fact that he lies to them both. 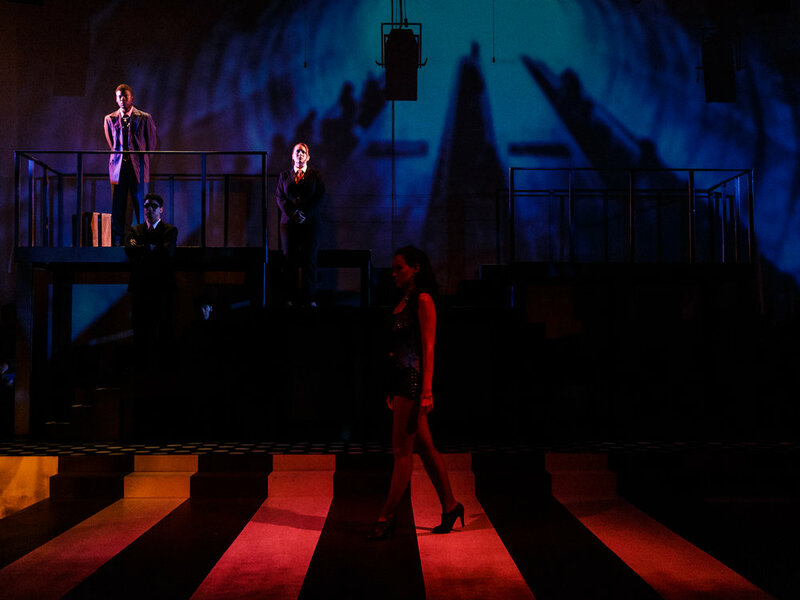 But through the combination of Weill's evocative, jazz influenced score and Brecht's revolutionary Epic Theater, The Threepenny Opera becomes more than the sum of its parts and bursts into effervescent life; full of dark humor, a predecessor of the musical theater genre and, ultimately, a series of questions for those of us who perform it and those who come to see it. But it will perish in its own great cold. Within this mortal coil since days of old.